With complex projects throughout their portfolios, Adrian Foley, President and CEO of Brookfield Residential, and Dene Oliver, CEO of OliverMcMillan, are two of the most-forward thinking minds in real estate. Each has a unique history to tell through leadership and mentoring in a changing industry. 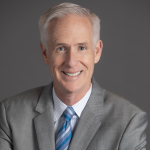 John Burns, CEO of John Burns Real Estate Consulting, will moderate a lively discussion that will pull back the curtain on Foley and Oliver’s insights for the future, how they are leading their organization through change, and how this forward-thinking approach keeps them on top. The recent acquisition by Brookfield Residential of Oliver McMillan’s assets launched a partnership which will invest in and develop projects that will ignite vibrancy, embrace technology, and connect people in a whole new way. We will enjoy cocktails, hors d’ouevres, and networking alongside some of the region’s most notable land use experts. Engage in candid conversations with peers, find out how to capitalize on industry trends, and gain C-suite level insight. This program will bring together the ULI communities from San Diego and Orange County.